A permanent installation in a private house in central London. 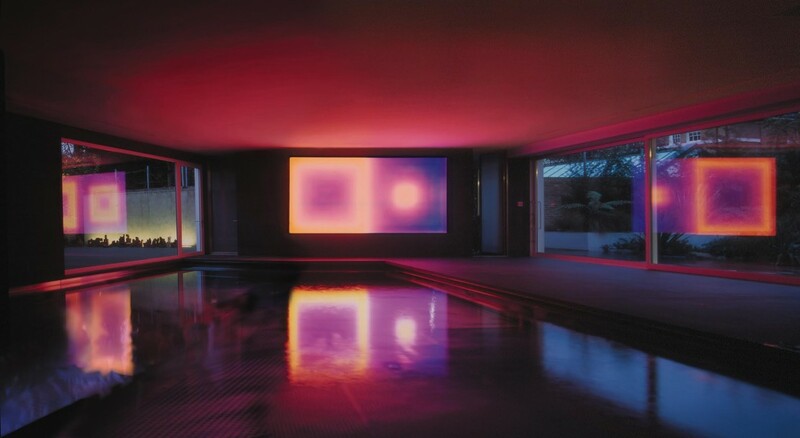 The pool is housed in a room with three glazed walls with act as reflectors for the work, enhancing the multiple reflective possibilities provided by the pool. The piece has a wide variety of colour combinations and has its own intrinsic apparent built in reflection, but in fact one is a negative of the other. The work resonates in surprising way by manifesting aspects of itself throughout the rest of the house.